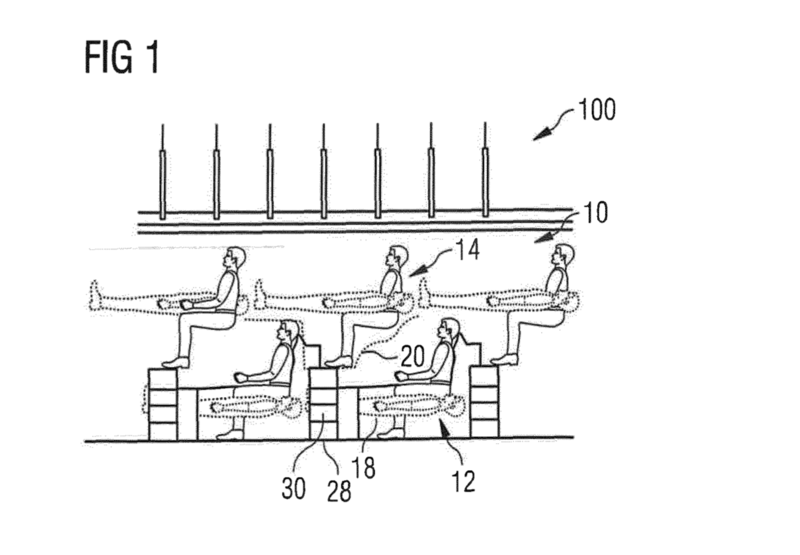 It’s human Jenga — courtesy of an Airbus patent. Sick of fighting over the armrest on a flight? Or maybe your knees ache at the mere thought of squeezing into an airplane seat? 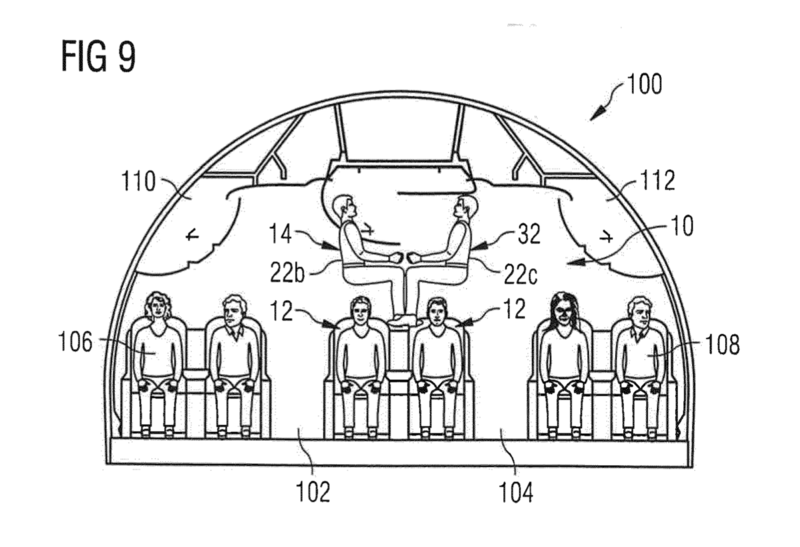 While some patents seek to address those issues with clever design, a recently filed Airbus patent intends to cram more passengers into a plane by simply stacking them on top of each other. No, we’re not talking about a double-decker plane with two floors of seating (those already exist). 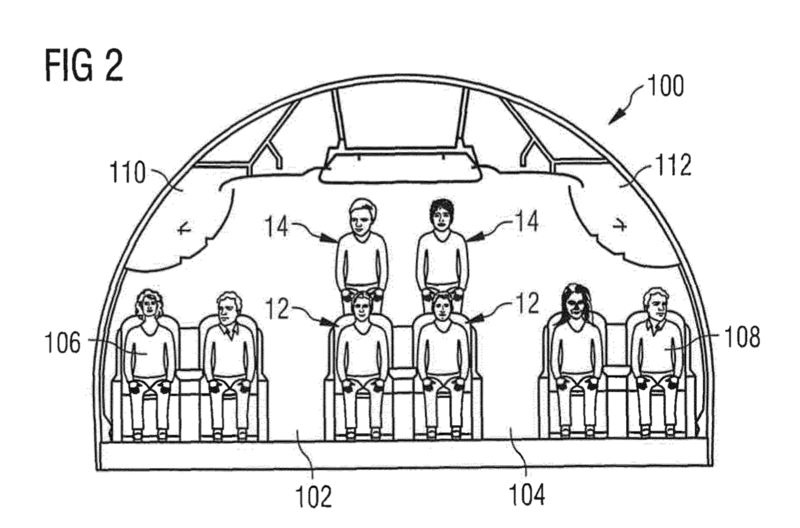 The airbus patent [PDF] would use new types of seats that raise up some passengers a few feet higher than others so that the top passengers are teetering above those below, while the folks on the bottom get to spend the flight dreading the inevitable dropped magazine, book, food item — not to mention the odor of feet that much closer to your nose. In this diagram, the top of that pyramid is pulling some real Cirque du Soleil stuff. Who needs seats when you’ve got team spirit! 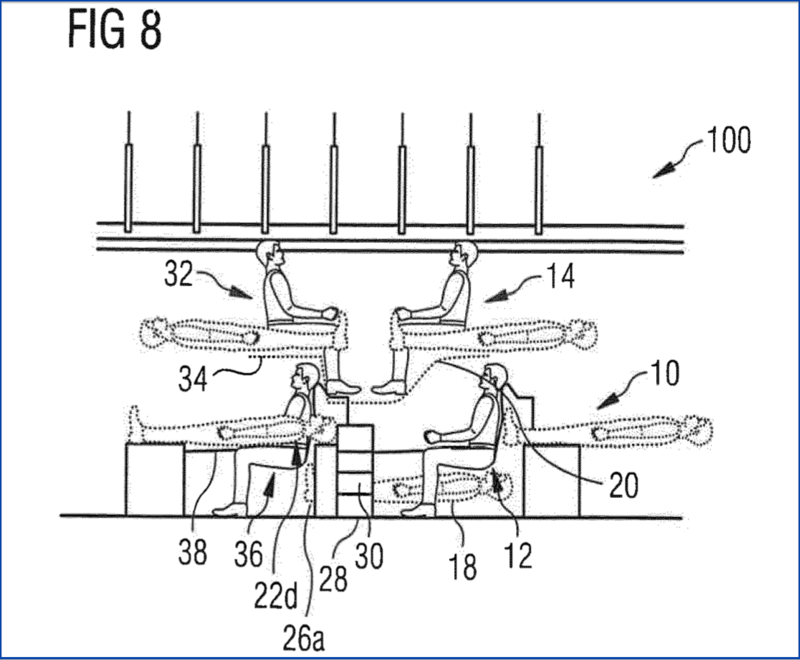 Though Airbus’s idea may indeed allow the jet-maker to cram even more humans into a plane, we doubt that any formulation of this model would meet regulators’ safety requirements. Think about it: The reason you have to put your tray table up during takeoffs and landings isn’t to tidy up the cabin. It’s to clear obstacles from your row in case passengers need to reach the aisle quickly. It’s hard to imagine the FAA and other airline safety regulators around the world being okay with passengers not only being positioned in seats that don’t have access to aisles, but which require descending steps or ladders to reach that shared space. And we can only imagine how well some passengers who’ve helped themselves to some in-flight or pre-flight cocktails might handle having to navigate the new vertical aspect of getting into and out of their seats.